I only post petitions here that I would sign, that I fully agree with and support wholeheartedly. Sometimes a petition comes along that makes my heart sink, a petition that I really wish was not necessary in the first place, and this is one. Animal Equality and Last Chance for Animals have undertaken an intensive investigation into slaughterhouses and the dog meat markets in the Leizhou peninsula and the rest of the province of Guangdong in China. Their deaths are horrific: various blows to the head leave the animals in a semi-conscious state before being stabbed to death. The dogs are bled out and die after agonising minutes whilst struggling in a desperate bid to stay alive. Both organisations have joined forces in a campaign to end the consumption of dog meat and its production in China. Just like you, millions of people, in China and beyond, believe that cat and dog slaughter for human consumption is absolutely unacceptable. 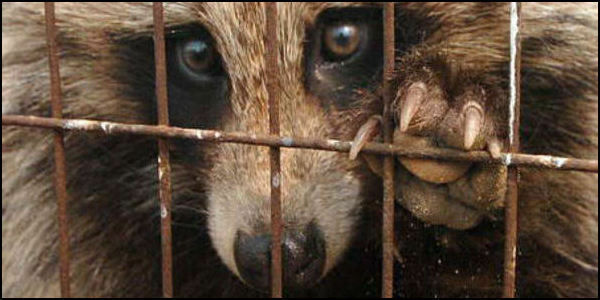 This is why we are urging the Chinese government to prohibit this cruel trade immediately. via Voiceless Friends – An Undercover Investigation by Animal Equality and Last Chance for Animals « Dog meat trade.